Share holders are rewarded with 9% extra coins for allowing your supply to stake every 35 days and strengthen the network. Miners are rewarded 100 coins per block every 60 seconds and also secure the network with processing power and generate coins for their work. Traders will benefit the low fee’s for transactions allowing them to trade as they want. IncaKoin is currently trading on the following powerful cryptocurrency trading platforms. Join a trusted community built around a passion for cryptocurrency. More exchanges soon to be announced, stay tuned! 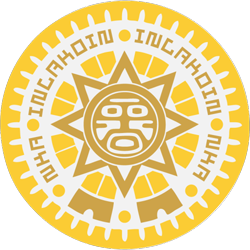 IncaKoin also has a great community and if you take a minute to look back through the board you’ll find a friendly atmosphere of core supporters that are always working hard to resolve any problems and lend assistance. Finally, we feel that this coin has respectable specifications and a ton of potential to grow in valuation. Track and find all your NKA transaction in REAL TIME with our blockchain explorer.